We all know that Pippi is the center of our world most of the time and that I am…well obsessive at times. I have reached a new plateau, I know own 3 pairs of Scottie pajamas. So last night while sitting on the couch with my Scottie, wearing Scottie pajamas, eating black liquorish Scottie Dogs, I looks at a pattern to make toy Scottie Dogs. 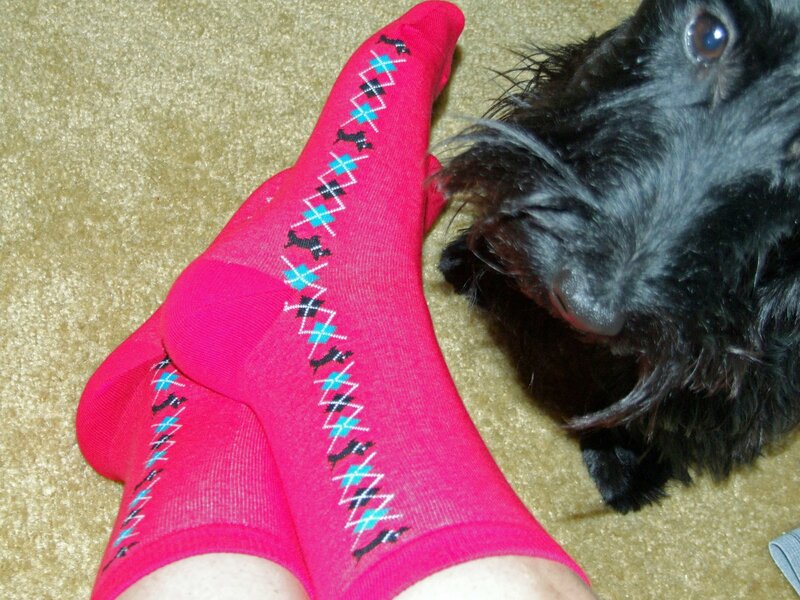 Here is Pippi admiring my new Scottie Socks!